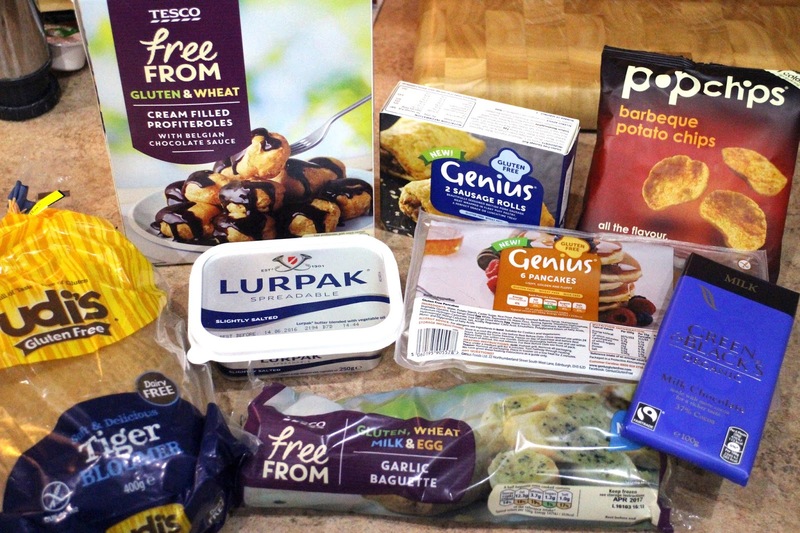 I was caught in the Tesco vortex again! You all know what I mean, you head in for a few items (in my case with coupons in hand) and leave with a million more items (which I didn't have coupons for!) It gets me every time, which is why I tend to buy online if I have no coupons, or I don't dare browse. Considering all this I only came away spending £10 out of pocket after coupons, which isn't too bad for me! Almost all of the items are actually from the free from section of the store. I don't normally buy this much processed food, nor do I actually shop in the free from section all that often as I like to try and find items in the mainstream sections of the store to try, but sometimes you just need some treats! Sorry about the awful picture! It was dark and I was too tired to get lighting out! Lurpak butter - £1.74 - Boring but essential. Pringles (for James) - 79p - I had a coupon for 81p making these a 2p money maker! These are not gluten free , but I did by them for my fiancé for when we have a film night! Green and Black Organic Milk Chocolate - £2 - This was also free after my rebate from my shopping app. Popchips Barbecue - 75p - These are also free after rebate. Genius Pancakes - £2 - I had no coupon for these but they looked so good and I've yet to get my hands on the Genius brand of pancakes, so I am excited to try them! Udis Tiger Loaf - £2.50 - I had a 50p coupon for this. I love this bread a lot and it is a huge loaf for the price, even without a coupon, I would 100% recommend trying this! Genius Sausage Rolls - £2.50 - I had a £1 coupon for this product, I have had these before as my Gran cooked me some up when I went round her's so I thought I'd have some more as they were delicious, it also means I can take a picture and review them for you! Tesco Free From Profiteroles - £1.50 - Unplanned purchase number two, but I couldn't believe the price, James loves profiteroles so we will give them a go one night to see if he can be converted to the gluten free ones! Tesco Free From Garlic Baguette - £1.50 - Another unplanned purchase, I had been trying to get my hands on one of these for ages, so when I saw it, I grabbed it! This is also a fair price as its not too much smaller than a mainstream garlic baguette! Before coupons my shop came to £15.29 and I paid £10.23 so not my best savvy shop, but not too bad considering the bits I didn't intend to buy! I would love to know if you have picked up anything tasty recently or if I am missing out on something I really need to try! The profiteroles are amazing. So good that you cant even tell they are gf. The garlic bread is lovely too!